Taking all the credit for a project is frowned upon. Image is in public domain. If you can light a stick on fire and make it do amazing things, there IS a job waiting for you in Hawaii. Otherwise, you’re going to have to pound the pavement like everyone else. Finding employment in Hawaii is one of the most daunting tasks for most people. It’s difficult for a number of reasons. 1. You cannot usually find a job while off-island. You need to go there and put in the time, effort, and feet on the ground so to speak. You need to run around to different Hawaii State and Federal buildings. You should probably go interview with some placement specialists if you have a job skill they might be able to place you for. If you are a veteran you should definitely visit the Veterans Services for their help. I did, and they helped me get an interview. I was hired within days of that. 2. Hawaii isn’t San Francisco. There’s a limited job market and many occupations are not needed. 3. You’re fighting companies preference for hiring locals and those that have been living on the islands already for years. Companies want to hire employees that will stay on the islands and that have good reasons for staying – like family. They use these to compute an adjusted average income amount. Is living in Hawaii all it is cracked up to be? According to them, the state isn’t doing so well. Hawaii ranks worst out of 50 states. For the second year in a row Hawaii has the distinction of being worst place in the US to make a living. They rate Hawaii as having the highest cost of living of any area in the USA too. Surprised? That all said, if you can make $50K – 60K per year in Hawaii for yourself, or even you and your spouse, you’ll be OK if you are frugal. You won’t own a nice house, chances are but you’ll be able to continue on living in Hawaii. Employment is tough to find for most people. Jobs exist in certain career fields. If you’re a waiter-waitress, nurse or other healthcare worker, or you have worked in the travel industry, you can probably find a job in Hawaii. If not, it’s a serious struggle finding jobs for most people that move to Hawaii to live. The entire island is built on tourism. If your specialty is not sales, customer service, waiting tables, or selling retail you might want to reconsider living in Hawaii if you need to work. Or at least do a lot of research before you arrive. It’s a very tough job market, and you shouldn’t let the unemployment figures lull you into a false sense of security about the place. The jobs most often open are in those areas I mentioned above. Bring a whole lot of savings to support you if you do not have skills in one of those fields. Someone wrote me recently and said she and her husband were thinking of moving to Maui. They didn’t have jobs yet. What would their chances be of getting something in construction? Finding a job on Oahu might be quite difficult if you’re looking for something specific. When I moved back in 2002 I knew I wanted a job working in the Internet marketing area since that was my specialty. I knew I wanted to make $50K minimum, but hopefully $70K. I was willing to wait a year or so before making it to $70K. The online business world was going very strong at that point and I didn’t have trouble within two weeks of arriving lining up a great position with an up-and-coming dot-com business. The jobs available in Hawaii are, of course, mostly based on tourism. The second biggest area is either construction or in healthcare. The figures are not accurate when describing construction job availability since many workers are working under the table and off the record. The available jobs are most often in these areas. If you can work in either of those two industries you probably won’t have any trouble at all finding a job on Oahu. That’s just Oahu. Oahu has about one million residents and there is some variety in the tourism area. You could even start your own unique tour business if you wanted. Oahu is not that difficult to find jobs on, and you’ll probably be fine if that’s where you want to live. I’ve spent a year plus on Maui working as a Marketing Manager for a resort firm there. Maui is heavenly. It was a perfect match for me. Many people that visit Maui think the same thing. Maui is high on the list of people wanting to move to Hawaii, but few have the money or job skills needed in order to make it there. In my case I started on Oahu and from here, found what I thought might be the perfect job on Maui. It’s much easier to start on Oahu and transition to another island. Much easier because you are now “in Hawaii” and can interview for positions on other islands. As you probably know it’s very difficult to secure a position in Hawaii without first already living in Hawaii. A necessary catch-22 for most businesses looking to hire full-time staff. They want to meet you first. Go figure! If you’re coming straight to one of the smaller (in population) islands – Big Island, Kauai, Maui, or worse, Lanai or Molokai, you’ll want to have your ducks in order. Ducks, meaning dollars. Cash savings. You’ll want to have a lot of reserves because the reality of moving to one of the smaller Hawaiian Islands without a job is that you’re going to spend a lot of your cash reserves just on basic living expenses until you find a job – which might take a year in some cases. Finding a job on Maui, if I just moved straight over there, would be quite difficult. I can do a dozen different jobs related to Internet marketing, but it’s quite possible that when I arrived, nobody is hiring. The job market is very small for everything except tourism related jobs, and healthcare (or retail). If you have job skills in an area that doesn’t relate to tourism or construction or something that relates directly to positions needed in Hawaii – on Maui, or one of the other islands besides Oahu – you might have a REALLY tough time of finding a job. On Big Island, there are two population centers, but there are only 190,000 people living there. Cost of living is cheaper than Oahu or Maui, but still – the number of job openings must be pretty weak. Especially during this time of economic flat-line. Kauai would be worse than Maui for job hunting. Finding a job outside of hotel staff, waiting tables, pineapple picking, or retail, on Molokai and Lanai would be virtually impossible. And then, if you did – could you afford to live there? Image Copyright CyberCom, Inc. There are telescopes and probably radar facilities at the tops of Haleakala and Mauna Kea Volcanoes. If you’re an astronomer you might be able to work there. I know, fat chance, right? There must be a waiting line for those jobs that winds down the volcano. Moving to Hawaii if you need to find a job can be difficult. The expenses you’ll face, and the difficulty you may have in landing a job, are things you need to take under careful consideration. If it were me I would try desperately to find a couple of companies that are hiring for what my specialty is, before I moved. That way at least there’s a chance I could have a job quickly and not use all my savings as I ran all over the islands to find a job that fit me. In this case too, I’d not recommend moving directly from the mainland to any other island except Oahu, unless you have a lot of savings and you do not mind blowing it. The huge “medical” field or health field appears to be the best career field in Hawaii. Best meaning lots of opportunity and a competitive salary to match Hawaii’s high cost of living. Today at Craigslist.org there are 195 jobs listed in the medical field just over a 3-day span. Hawaii has an aging population. It’s a place where many people from California, Michigan, and countries all over the world go to retire. The cost of medical care for elderly on an outpatient basis is very high. Often families will choose to hire their own in-house personal care aide to help their elderly parents to save some money and allow the flexibility of keeping the parents at home and not in a much too expensive seniors’ facility. Medical transcription is one job that has surfaced, and is paying about $25 per hour. If your vocabulary and typing skills are up to it you might try that as a career. Nearly all the jobs on Craigslist.org are for telecommuters so you can live in Hawaii and work with any number of medical facilities across the USA. I saw an online course among the ads that said it certified people for being medical transcriptionists. Seems like a good job. Tourism – If you want to do sales, answering phones, or working in the hotel industry and have experience you’ll find a job quickly. If you sell condominiums or time-share and want to make your mark on Maui or one of the other islands – there is ample opportunity to do so. Sales – If you sell anything – you can find a job on the islands quickly. Everyone needs to sell something, and when there are millions of tourists arriving each year, no matter what the economy looks like – businesses in Hawaii need to sell all the time. One thing Hawaii will always be in need of – are more sales people. The jobs are plentiful and pay well if you can sell! Healthcare – There are lots of aging people on Oahu and the other islands. They need in-home care, but not necessarily nurses. There are many live-in opportunities for those that want to trade some hours of taking care of a person in need in exchange for a room and sometimes food. There are also plenty of counseling jobs and jobs working with veterans or those that need mental health services. Plenty of jobs. Construction – There are many jobs working with construction and home renovation firms. People are putting a lot of money into rehabbing their homes and need help. Tilers and roofers are always in demand. Those with skills they can use online to make $ can move to Hawaii easily. If you can do web development or writing or have some other valuable skills that enable you to cyber-commute you can build up a couple of jobs (gigs) and move. You’ll have money until the projects run out, and by then you’ll have worked hard enough to get more to replenish them and stay in Hawaii. Information Technology – There are many IT jobs available on the islands, usually they are for web site developers and network technicians, but, the whole gamut is present on Oahu. Programmers, FLASH developers, Internet marketers, and graphics designers can all find work in the islands without too much trouble. Many work on their own doing odd jobs, or working on their own projects. The Internet in Hawaii is every bit as fast as your home network on the mainland. There is no difference between Internet you can access in Hawaii vs. mainland. There are plenty of entrepreneurs with their own Internet businesses online. If your skill-set is in the IT field you won’t have a problem finding someone that needs what you do. I found three IT jobs on Oahu and Maui very quickly, as I needed them. IT is one of those areas you just might be able to land a job from the mainland without being in Hawaii, as some companies allow IT staff to work from home – even on the mainland. “How did you get your IT job in Hawaii” is a question I get asked by many people through email at my website. First of all I had a lot of IT credentials. I had CompTIA’s A+ certification, Microsoft’s MCSE, 7 Microsoft MCP certifications, and about two dozen hardware certifications for fixing DELL, IBM, HP, and Compaq desktops, notebooks, and printers. I already had four years of experience working in break-fix and network management, and I was an SEO expert on top of it. I knew how to develop websites, and I knew a lot about Internet marketing. IT jobs in Hawaii are not so hard to find if you have a couple years of experience. I knew IT guys at major resorts that didn’t have a clue what they were doing, and they were making $60,000 a year. That has probably changed somewhat, but you know Hawaii business is lacking in some areas. 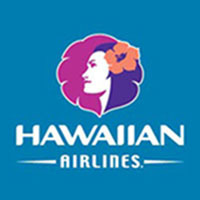 I landed at Honolulu International Airport on Oahu on January 21, 2002. I had a great IT job within eight days. I interviewed for four different positions. Two of them I didn’t like. Two of them offered me the job. I took a job with a Hawaii email spam king. He was, and still is quite undercover. He didn’t do anything blatantly illegal, but it was a balancing act. We were a three-person office before hiring two more. In a year we grossed $5,000,000 and cleared over $3,000,000 after tax. Such was life for a dot-com spam email organization in 2002. How did I find the job? After I got my Hawaii driver’s license, or Hawaii State ID – I can’t remember which I got first – I went to the Workforce Development office in downtown. I signed up and told them all of my skills. They were excited to have someone with skills come in to apply, and they really helped me a lot. They took the time to go over many possible jobs with me that I might qualify for. There were about thirty jobs I was qualified for that they had on the books, and they were getting more in daily. It was really easy. Within a couple days I had interviews, and I chose a job making $50K per year because I knew I could advance quickly in the organization and make more. Back then it seemed like there were a fair number of companies looking to employ people that knew something about internet marketing and search engines. They didn’t quite know what we were worth, and we didn’t either. Some companies didn’t know how to go about integrating an Internet marketing expert into their traditional hierarchy of staff that never needed such a person. When I left the job with the spam king I moved to a position as “Marketing Manager” for a resort management firm that had four properties – two on Big Island and two on Maui. I didn’t know much about traditional marketing at all. Print advertising and the travel industry, bookings, and the rest of it were all new to me. But I learned a lot while I was there on Maui. Is it easy to find an IT job in Hawaii today? I’d say yes, it’s easy. Might you have to take a job you don’t necessarily want to remain in for a long time in order to give yourself some more time finding the perfect IT job? Yes, quite possibly. I think a lot of people do this. There has been a large-scale brain drain in IT, and in the medical field, but I really saw it in IT. Information technology whizzes tend to leave Hawaii immediately if they’re not entrepreneurial, to look for work on the mainland. California is full of tech companies that need people with IT wired brains. They’re paying approximately five times what jobs in the same area pay on Oahu. One way of looking at it is that anyone with half a brain that knows his or her way around IT in Hawaii leaves as soon as possible. We stay! If you love Hawaii, you’re not moving to California, Arizona, Utah, and Washington. You’re staying in Hawaii. There’s a trade-off in Hawaii between working for peanuts and getting to live in the ultimate place on earth. To me, it’s quite worth it. I could have moved to California and made a lot more per year, but I moved to Hawaii instead. It’s the price of staying in paradise. One of the prices anyway. Image Copyright CyberCom, Inc. There are job fairs at the convention center all the time. They usually focus on tourism related occupations, but also health, construction, education, and other fields. There always seem to be jobs available for IT professionals on Oahu. I have never had a problem finding a job, and nobody I know in the field had much trouble either. Even today as I look at job openings, I find many. Seems like companies have finally realized they need either an on-staff Internet marketing manager, or to hire a consultant for fifteen to twenty hours per week part-time. I had a neighbor in my Waikiki condo that was a C programmer. He worked for a company in California, but worked in his room about five hours each day, and was out surfing the rest of the day. If you can swing one of those deals, wow… that is probably the ultimate way to work in Hawaii. Find an out of state position where you can work online. Or, create your own and be a consultant for your own business. Honolulu Magazine had some interesting charts full of demographic information. One showed the average income for people living in Hawaii is just $75K per year per household. Now, what they didn’t say was exactly how the US Census takers qualified these totals. Household income, loosely defined, could be taken to mean everyone’s income in a house. We all know that mother, father, adult kids, and grandkids live in the same house often times because housing is just so expensive. If the chart above was just husband and wife and included singles as well, that would make sense, but if it includes everyone – more than two adults at the most – that’s really saying something. Income of $75K per year for two unmarried people living in the same household is $37,500 each. Twelve thousand of that goes to taxes from each. This leaves $25K each, $50K total for two people. That isn’t so great at all. Fully one-quarter of all households are pulling less than $35K per year in income. That’s plain unlivable. I really think that anything over $50K per person is ‘enough’ to live in Hawaii – any island. If you’re making any less than that you’re going to be too stressed that you aren’t making enough. Are there many positions available for Engineering and engineer related fields. I have a degree in Chemical Engineering (Oil and Gas), but don’t see very many positions related to this field. Most seem to be related to the Civil Engineering Field. I believe a lot of the general skills of an engineer are transferable in many ways, but unsure if the companies hiring see things this way. Any advice on this is certainly welcomed. Your blog is awesome thanks so much for you work on it. My husband was offered a position in Hawaii and we a 3 person family. Can 3 people live frugally in Hawaii on $50k a year? Should we even consider the move?? What if I cant find a job? Just looking an honest opinion from someone who lives there! Great, thanks Vern. I plan to start asking my new work colleagues as well. Thanks a lot for these articles on moving/living in Hawaii. They’re very helpful. I landed an IT job offer in Oahu after my contract is up and moving over from Seattle around Feb. 2015. Glad I have a good job lined up but any tips on finding a place to rent if you have a large dog? We have a German Shepherd and it looks like many places won’t rent to people with pets. Good question. I use Craigslist and word of mouth primarily. I do everything I can at Craigslist first. I talk to every local I can about whether they know about a place to stay in my price range. Nearly everyone knows something and you’ll never know it too unless you talk to people. That’s just how I do it, if anyone knows a great service for it, you can throw it in the comments here. Good luck Brian! Aloha!